The Minnesota Democrat called gay conversion therapy "torture" and said it should no longer be a legal practice in Minnesota or in any other state. ST PAUL, Minn. — Rep. Ilhan Omar has rallied LGBTQ youth in support of a Minnesota bill to ban gay conversion therapy for minors or vulnerable adults. 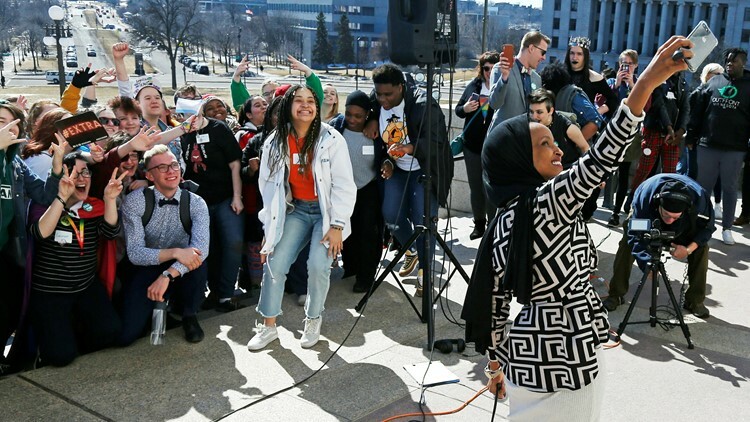 Omar spoke Thursday on the state Capitol steps to a crowd that marched from OutFront Minnesota's seventh annual Youth Summit at Saint Paul College. Omar was a co-sponsor of a similar bill when she was in the Minnesota House. She was elected to Congress in November. Minneapolis Democrat Scott Dibble, the only openly gay Minnesota senator, urged the crowd to meet with their legislators, fight for change and run for office. The American Psychological Association opposes therapy seeking to change sexual orientation.